I am always in favor of pet adoption; there are so many wonderful animals currently in shelters who need loving homes. As a trainer, however, I’m adamant that people not adopt on a whim. This comes from first-hand experience witnessing the problems that can arise when a pet is adopted without proper planning. During college, I volunteered at a local shelter. The community had notoriously high rates of surrender and abandonment of animals, especially in the spring when school ended and students packed up to leave. They would be unable to take their pet home with them, or would be starting a job that made it impossible to care for the pet or moving into a new apartment where pets weren’t permitted. Because they failed to think through the commitment they were making when they adopted, their pet found its way back to the shelter again. If you are thinking about getting a cat, I would encourage you to adopt. But understand this: Adoption is a permanent commitment. 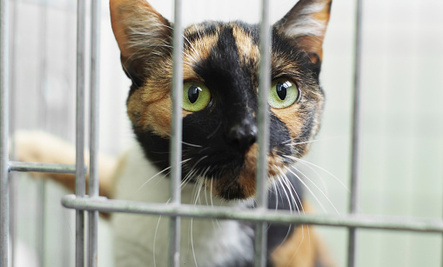 There are a number of things to consider before you make the choice to bring a cat home from the shelter. The first step is to make an honest assessment of whether a feline is a good fit for your current living and family situation. It is important to consider the financial commitment you will be making by adopting a cat. The ASPCA estimates the cost of the first year of owning a cat to be $1,035. Costs may be much higher if your cat has health problems or other issues. You will also need to plan for ongoing health care for your cat. Your veterinary care budget should include the cost of annual vet exams as well as an emergency fund or pet insurance plan to cover unanticipated costs. Adopting a cat also means rearranging your living space to make it more feline-friendly and investing in toys and cat furniture to keep your kitty busy and happy. You will need to devote some areas of your home to the cat, for structures like climbing spaces and scratching posts. And of course you will need to create a space for a litterbox. And while you are thinking about how to make your current living space work, consider any future changes to your housing situation. If you are likely to find yourself sharing space with roommates who may have allergies or may not love cats as much as you do, or moving to an apartment or house that doesn’t allow pets, it may be better to postpone adoption until you are able to guarantee your cat a permanent, stable home. The financial and physical investments are just the first step, though; you will also need to commit time and effort to help your cat settle into his new home and bond with you and your family. Cats don’t automatically know the rules; you will be responsible for teaching your cat what behaviors are and are not allowed, including the proper place to potty, where to scratch and how to interact with people or other animals in the home. Despite the myth that they are self sustaining, independent creatures, all cats require time and attention. In fact, many felines crave social interaction and may become stressed and anxious if not given enough attention. Even if a cat is okay with being alone during the day, it’s important their family spends quality time with them when they are home, otherwise problem behavior may occur. Even the more aloof felines need devoted time from their humans to set up their environment in a way that helps them feel relaxed and safe. Certain cats may demand an even bigger time commitment. If you adopt a kitten, he will need to be socialized, which is a big job. Cats with special needs may require consistent, patient interactions and a predictable, controlled home environment to help them settle in. High-energy cats require creative physical outlets and lots of play time. If your life is unpredictable or resources are slim or other barriers stand in the way, sometimes it is best to wait to adopt a pet. I know how frustrating it can be when now isn’t the best time for a cat. I was desperately lonely for my own animal during my first two years in college, but I lived in housing where animals weren’t permitted. My solution was to volunteer at shelters to get in needed time with dogs and cats. They sustained me until I was in a living situation that made it possible for me to adopt my own pet. Another option is to consider fostering a feline. Fostering is a great way to give back to a cat in need while also having a companion to share a home with. A college friend of mine planned on working overseas after graduation; she knew she could not make the long-term commitment to a pet, but she still wanted a cat. Her solution was to take in a foster cat on a short-term basis. She was paired with a feline that was overwhelmed with the shelter environment and needed a quieter home. My friend and the cat both benefited from this temporary situation. Careful planning is crucial to a successful adoption — even if this means delaying the adoption until later. Your cat will be with you for a lifetime; take the time to prepare before you bring him home. I SAY THERE IS NOTHING TO CONSIDER...JUST GET YOUR BEHIND IN TO A SHELTER AND ADOPT AS MANY AS YOU CAN AFFORD TO TAKE EXCELLENT CARE OF AND THEN JUST LOVE THEM ENDLESSLY! I NEVER QUESTIONED WHATEVER CAT WAS CAGED, MY SOLE PURPOSE WAS ALL ABOUT SAVING LIVES AND IT NEVER MATTERED WHEN IT WAS SUGGESTED THAT THE CAT WOULD DO BETTER IN A SINGLE CAT HOME, THAT IS NONSENSE AS WHEN FIRST ADOPTED, THEY MAY HAVE HAD DIFFICULTY, BUT THAT ENDED VERY QUICKLY ESPECIALLY WHEN MY OWN CATS ARE LOVED SUPERIOR, THE NEW ENTRANT WAS ALWAYS WELCOMED INTO THE MIX AND KNEW IMMEDIATELY THEY WERE AN EQUAL MEMBER OF THE FAMILY. ANIMALS, REGARDLESS OF SPECIES, ALWAYS NEED AT LEAST ANOTHER OF THEIR OWN KIND TO RELATE TO! AND "ALL" CATS LEARN TO INTEGRATE THEMSELVES INTO A HOME WITH ANOTHER CAT, JUST AS THEY DO IN A COLONY SITUATION. Great article. thanks. The other things I'd add is: considering adopting a pair, especially an older, bonded pair. unfortunately adoption often isn't for life! Adopt don't shop! There are so many wonderful lovable animals in need.